Our waiting room offers free wi-fi, desk space, television and device charging stations. Your family members can use one of our comfortable spaces to work, while we care for you. There is coffee & tea available for your family members. 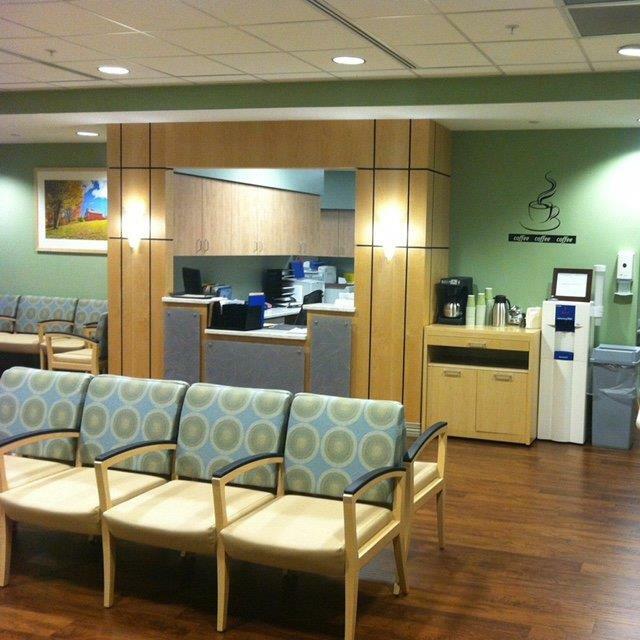 We welcome your loved ones in our comfortable waiting room during your procedure. © 2019 Surgery Center of Fairfield County, a physician-owned facility.